I added a half tsp. of nutmeg and shredded half the apple and chopped the other half. The cookies were okay but nothing super exciting. My friends and I did a cookie exchange a few weekends ago. 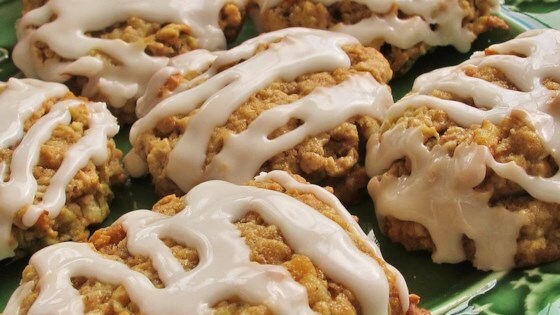 These were voted the best out of 7 different cookies. They were awesome, thank you so much for sharing. I'll bake these often.